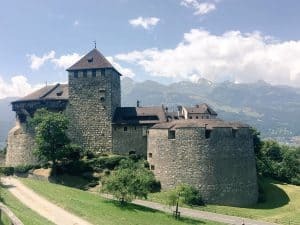 “Blink and you could miss it” was my partner’s observation of Liechtenstein’s capital, Vaduz, after we’d spent an afternoon there. In some respects, this is true – with less than 5,500 inhabitants, it covers an area of less than 7 square miles and is even smaller than the tiny country town I grew up in. 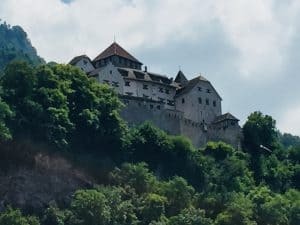 But this is probably not that surprising given that Liechtenstein is the fourth smallest country in Europe (technically it is a Principality, the head of state being Prince Hans-Adam II von Liechtenstein). It’s also the sixth smallest country in the world, with a population of around 38,000 people. And the fact that it’s a tiny country landlocked between Switzerland and Austria, means that it would probably be quite easy to drive through it without realising. But even so, you shouldn’t overlook it as a place for a short trip. We day tripped to Vaduz from Zurich, taking a train and then a bus and arrived in under two hours. As it’s more akin to a small town than a capital city, it’s possible to see most things in a few hours. 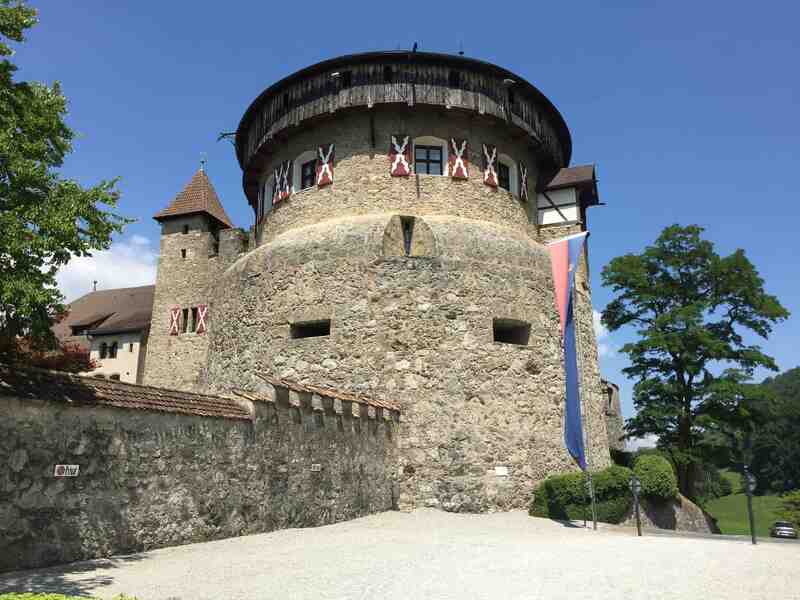 We focused on Vaduz’s main landmark, the 12th century castle, sat high on the hill above the city. It’s a 20-minute walk from the main street to the castle, up through the leafy hillside; the first part is pretty steep, but it does flatten out the higher you go – or alternatively, there is a tourist train that runs up to the top. At times, the pathway opens out and you’re treated to some wonderful views across the sprawling countryside below, much of which is a lush green valley running beneath the surrounding mountains. In the valley, some of the land has been laid down for vineyards. The pathway eventually ends and you walk out onto a wide road that is the final stretch of the climb. Here you get a superb view of the castle sitting majestically on the cliff edge and after the hot trek we’d had to get to the summit I was really looking forward to going inside and wandering around its gardens. Unfortunately, what I didn’t realise was that it’s closed to the public – the castle is the official residence of the Prince. I have to say this was quite disappointing, but I would still have made the effort to see it even if I had known this in advance. Back in the city centre, you should take some time to wander around. 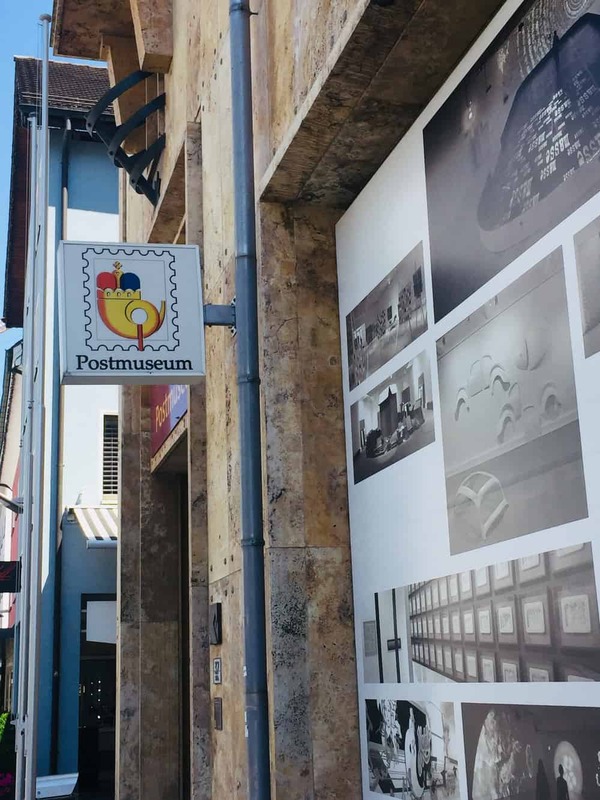 Walking away from the tourist office, you pass the Rathaus (Town Hall), a relatively modern building built in the 1930s, and can stroll into Mitteldorf, where you can see some of the city’s oldest buildings. The entire area is very small and consists of a few old, pretty and flower covered houses, but it does have a charm to it. If you wander past the neatly laid out vineyards, you will soon see the 14th century Rotes Haus, or Red House (named for obvious reasons!) with its simple yet eye-catching tower abutting against it; this is a great spot with lovely scenery to take in. If wine is your thing, then Liechtenstein might be worth a visit for this alone (despite its small size, Liechtenstein apparently has over 100 winegrowers, some of which have won awards). 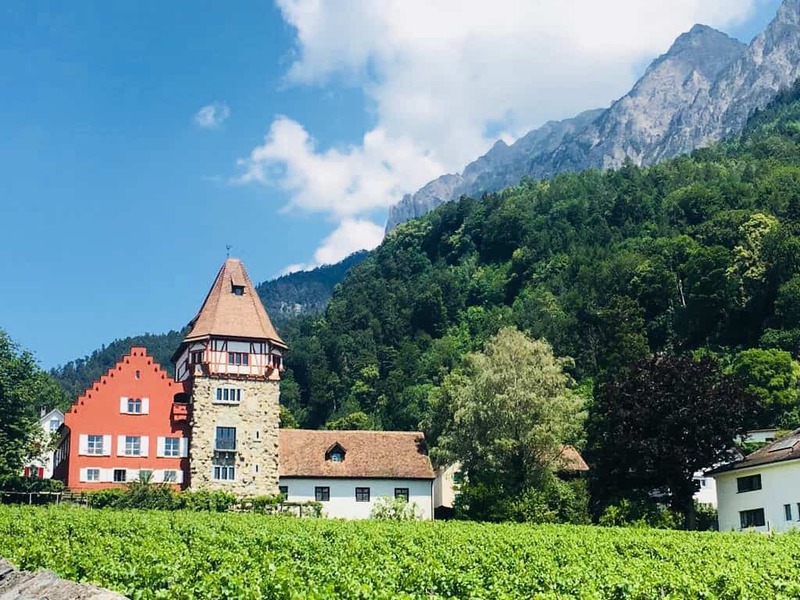 You can visit The Prince of Liechtenstein Winery for tastings and take a look at their vineyards. Unfortunately, the winery wasn’t open when we visited, which was a shame; had we arrived a few hours earlier we may have struck lucky (although our guide book also said that you may have to book in advance so if you want to sample the local wines, I’d suggest contacting them in advance to avoid disappointment). If all else fails, we were told you can buy their wine in the tourist office on the main street. 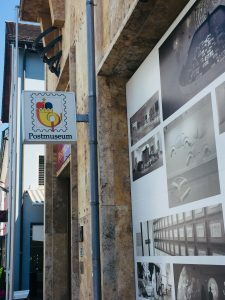 Vaduz also has a postal museum, comprising collections of stamps and displays on the history of the postal service. We didn’t visit, but the reviews on Tripadvisor are all really positive, so if philately is a hobby of yours, this is somewhere you won’t want to miss. You can also buy a souvenir tourist stamp a few feet away in the tourist office to show that you have visited the Principality (however, note that some articles you read suggest that having a souvenir stamp may invalidate your passport in the eyes of some countries – in particular Finland; how true this is I don’t know, but it’s worth checking before you buy one). 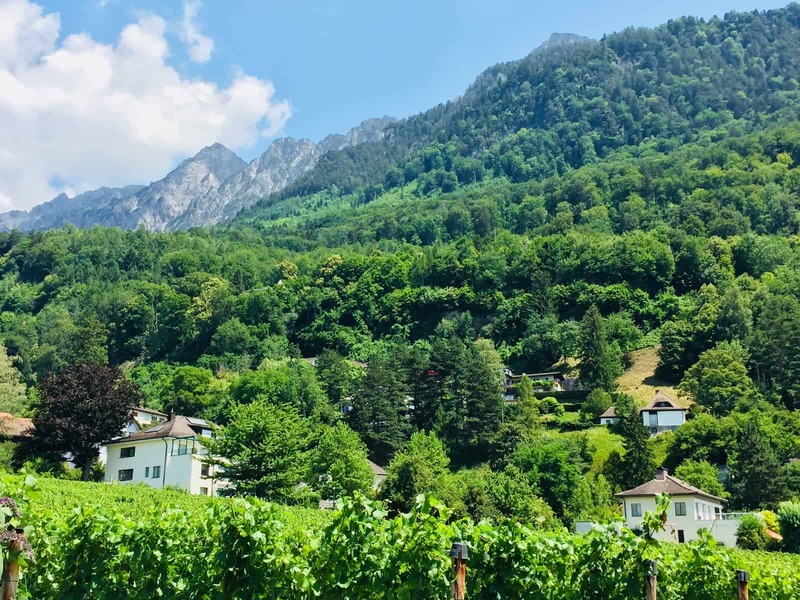 Other than this, there is a small selection of cafes and restaurants where you can have a nice lunch (and glass of Liechtenstein wine) before heading back. 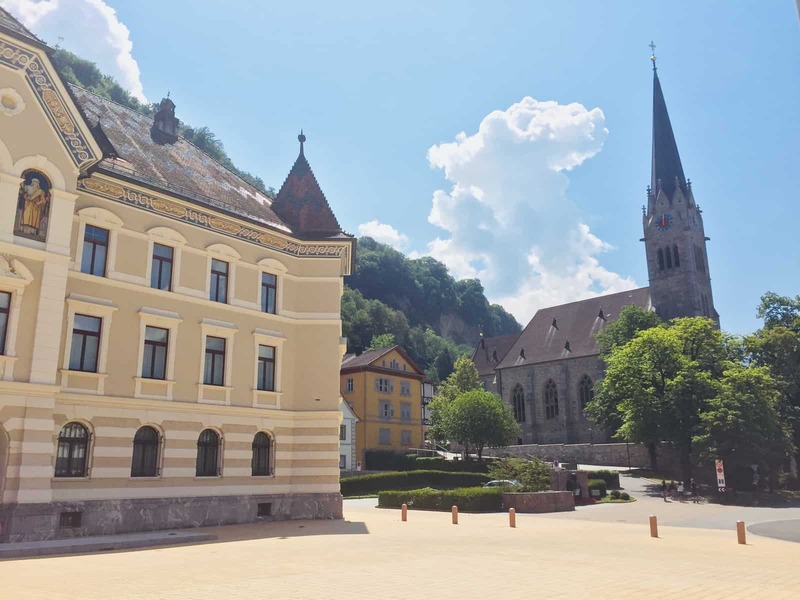 So, overall, although there is not a great deal to do in Vaduz, it’s definitely worth an afternoon if you’re in easy reach. I felt it was nice to spend some time in a place where there’s not an enormous number of things to see and do. It means you spend the majority of your time gently strolling around and are not rushed off your feet. You can arrive here, wander around a few sights, stop off for some food and then leisurely make your way home. All in all, I’m glad I went. We took the train from Zurich central station to Sargans. Trains are fairly regular and take between 40 and 60 minutes. Change here for a 30-minute bus ride into Vaduz; buses are parked outside the station’s exit.